You are here: Home / Help / Goals / Why goal setting is important? Jesus Christ has called each Christian to live and run his life successfully by being focused and goal oriented. However, many of us run our lives financially, spiritually, emotionally, physically, and mentally while in a blur of God’s calling for our life. We act as if Christ did not qualify us for the race we run. Little do we know, but when God gave us His road map (The Word of God) and then sent His only Son to die for our sins, He qualified us for the race set before us. People who are not focused or goal-oriented do not know where they are going. They are just living; their life has no purpose, neither do they have any Christ-centered goals; therefore, they have very little hope for the future on earth. If this describes you, any path you take will be unfulfilled. When you do not know where you are going, any road will get you there. Not only that, unless you get focused upon God’s calling in your life and establish written goals, your life will be marked by failure because you will never realize your full potential in Christ. 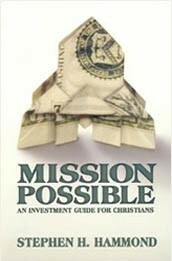 Working with Christians regarding their finances, I have found that very few have written financial goals. Most Christians don’t set goals because they are afraid of failure. They just do not realize the importance of written goals. The process of writing down your goals is important because it provides motivation and purpose. Not having goals is the same thing as aiming at nothing. 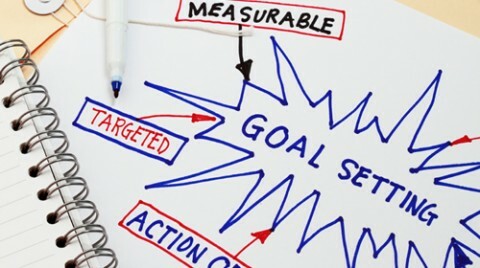 The old trite phrase “If you aim at nothing, you’ll hit it every time,” contains a great truth about effective goal setting. Writing down your goals makes them more obtainable. It also solidifies the commitment you have made to yourself, your family and God. When written down, your goals are no longer just dreams. You are more likely to achieve a goal if you write it down. The goals you have today may not always be the same goals you have in the future.